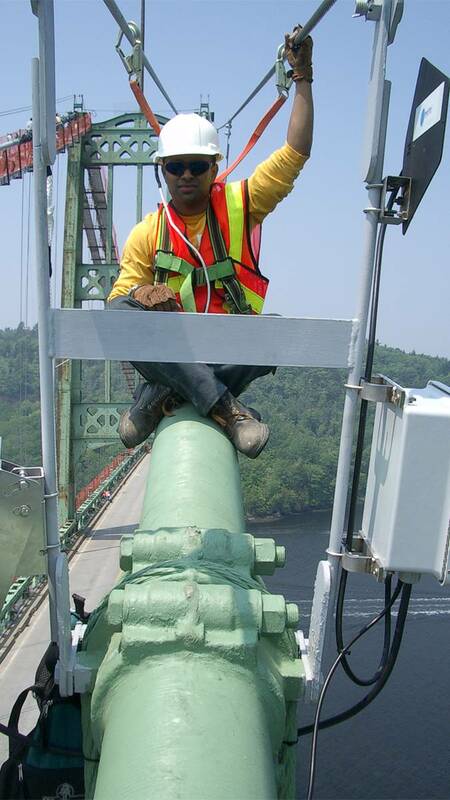 Ensure the long-term integrity of bridges and structures with precise failure detection. SoundPrint can detect and locate failures in high-strength steel wire, strand or cable through continuous, non-intrusive remote monitoring. 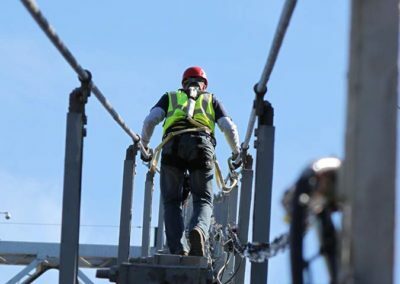 SoundPrint helps bridge or structure owners and engineers ensure the long-term integrity of materials like post-tensioned concrete building structures and pre-tensioned suspension and cable-stayed bridges. 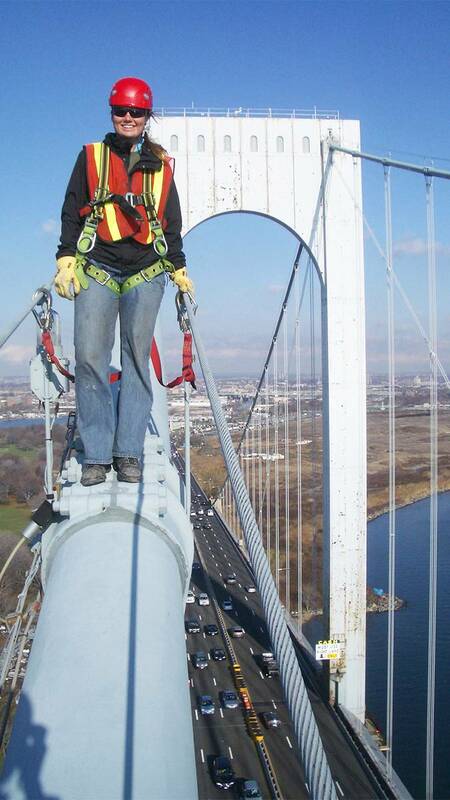 Because it continuously monitors for failure of tensioned steel elements, SoundPrint saves money on other bridge and structure inspection and NDE techniques. Once SoundPrint has generated an understanding of the frequency and location of failures, other investigative techniques can be more cost-effectively applied to further evaluate the extent of deterioration. 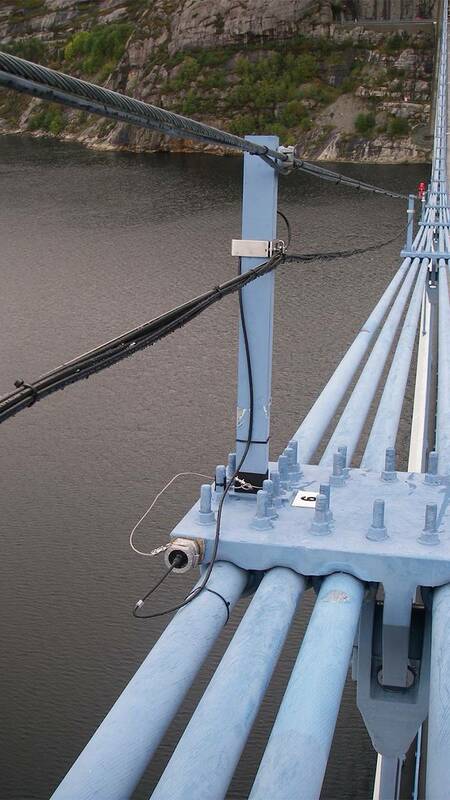 SoundPrint Acoustic Monitoring system is installed on a Bridge or Structure. 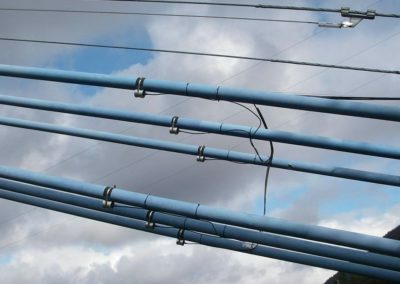 Sensors measure the dynamic energy release when tensioned wires fail. Onsite Data Acquisition Unit performs preliminary hardware filtering and real-time pre-processing rejecting superfluous acoustic event data. Data from events that has passed preliminary filtering processes is transferred to our data-processing centre to be further examined. Through a combination of applied proprietary software, and highly trained professional analysis, acoustic events are assigned a time, location, and specific classification. If and when the event is classified as noteworthy, electronic alerts are sent, via email, to the client. The data is immediately accessible on the 3D GIS website, and reports can be custom generated. 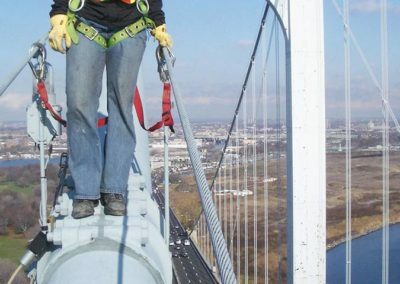 The main cables and suspender ropes of suspension bridges are often subject to aggressive environments where hidden corrosion of the wires leads to reduction in structural safety. 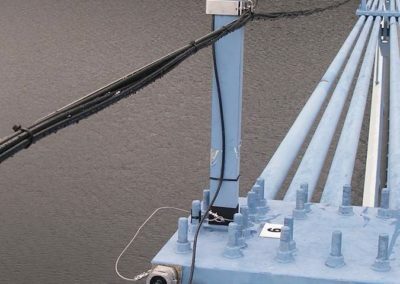 SoundPrint provides complete, continuous surveillance of cable components on suspension bridges so that areas of active corrosion can be pinpointed. The SoundPrint acoustic monitoring system provides a complete continuous remote health monitoring solution for stay-cables. Corrosion or fatigue-induced failures can be detected long before they compromise the integrity of the stay. 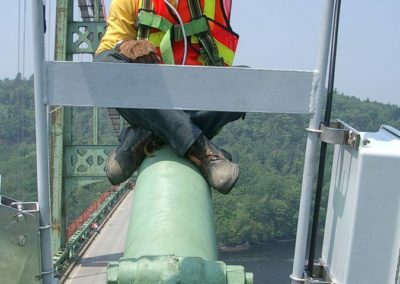 Suspect grouting practices and poor detailing has led to concerns about the durability of post-tensioned bridges and their susceptibility to corrosion-induced tendon failure. 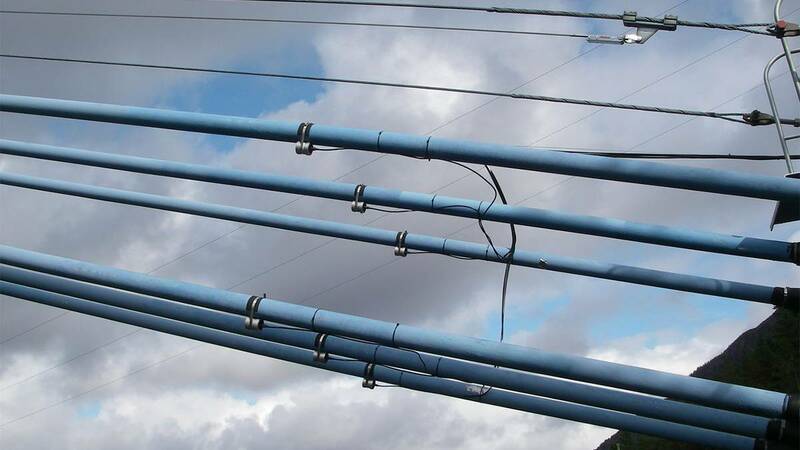 SoundPrint has been used to provide assurance about the condition of post-tensioned bridges with sophisticated acquisition and event filtering capabilities that can reliably detect low energy wire breaks in fully-grouted tendons in noisy environments. Texas has more than 53,000 bridges, the largest bridge inventory in the United States. 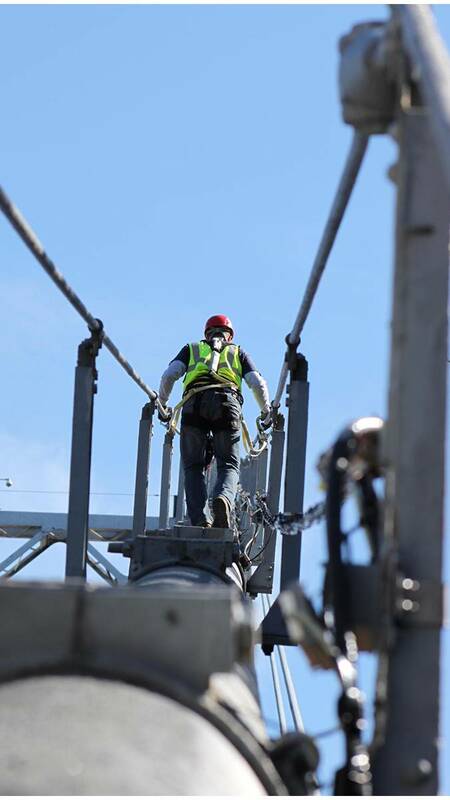 TxDot conducts routine inspections of most bridges every two years, ensuring all bridges open to vehicular traffic in Texas are safe and best in class.